Protecting Washington Communities from the threats of communicable diseases is one of our state’s Foundational Public Health Services (FPHS). The almost 20,000 residents of Adams County rely on their public health department to quickly respond to communicable disease cases, as well as to provide a broad range of assistance from maintaining vital records to protecting drinking water. In this rural county, public health staff provide crucial—if sometimes thinly stretched—resources for their communities. A multi-contact communicable disease investigation can swamp a small public health department, but a timely response is critical when the public’s health is at risk. This was tested in real time when Adams County faced an active tuberculosis (TB) case in July, 2018. Fortunately, thanks to FPHS funding, they were better prepared to effectively manage the large contact investigation and protect the public. Foundational Public Health Services (FPHS) are essential parts of the health and safety infrastructure of every community. When a public health department has to choose which communicable disease cases they can afford to investigate, who pays the real cost? The people living, working or traveling in the area. That was the reality Benton-Franklin Health District (BFHD) faced when dwindling resources forced them to start prioritizing which communicable disease cases to pursue. With a rising population of nearly 300,000 residents in these two thriving counties, the situation had the potential to impact a large number of individuals, families, schools and businesses. The healthcare system relies on public health to investigate a long list of notifiable conditions from tuberculosis (TB) to sexually transmitted diseases (STDs) such as syphilis and HIV. Without public health, there’s a gap in our health system; a gap that puts people at risk. When BFHD received FPHS funding, they knew they could tackle that gap and better protect their communities. Protecting Washington communities from the threats of communicable disease is one of our state’s Foundational Public Health Services (FPHS). The Kitsap Public Health District (KPHD) has a slogan: We safeguard our community’s health. And they take that slogan seriously, monitoring the safety of a wide variety of issues from septic systems to shellfish harvesting. A quick look at the KPHD website provides a wealth of health and safety information. You can learn how to limit your potential exposure to rabies, or check the safety score of your favorite restaurant. Like other public health departments, KPHD also protects its communities by responding to communicable disease cases. Making sure one reported case of an infectious disease doesn’t turn into an outbreak rarely makes headlines. But the time, skill and expertise behind that process is noteworthy, and essential to the continued vitality of a community. Protecting Washington communities from the threats of communicable disease is one of our state’s Foundational Public Health Services (FPHS). 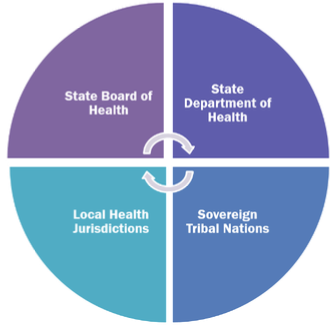 Governor Jay Inslee recently signed a directive ordering Washington State agencies to work with local public health, tribal governments and other partners to create a statewide hepatitis C elimination plan. The goal is to eradicate hepatitis C by 2030. Hepatitis C infections have been on the rise in recent years. One factor contributing to that rise is the current opioid epidemic. Hepatitis C is a virus (HCV) that attacks the liver. Untreated, it can cause serious health problems, like cirrhosis (liver scarring) or liver cancer. It’s curable if detected in time. It spreads when blood containing the virus gets inside another person. The spread of HCV from one person to another in healthcare settings is rare but can occur, primarily through contaminated needles, syringes, or other sharp instruments. When it strikes in healthcare settings, quick detection and intervention are important to stop the spread of this extremely infectious disease. That’s where public health comes in. 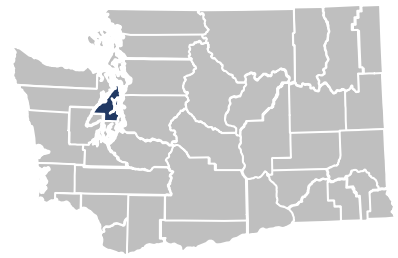 Protecting Washington communities from the hazards of lead exposure is one of our state’s Foundational Public Health Services (FPHS). Lead exposure presents a health risk to everyone, but children are the most at risk. Even low levels of lead exposure can cause serious—sometimes permanent—damage to kids less than six years old. Developing brains and nervous systems are very sensitive. Lead exposure can cause lower IQ levels, reduced attention span, and other physical and behavioral health problems. 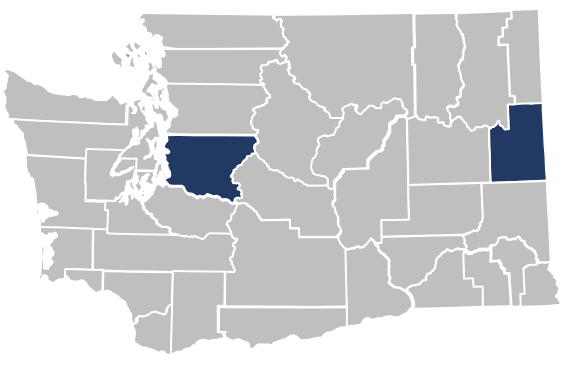 Protecting Washington communities from the threats of communicable disease such as tuberculosis (TB) is one of our state’s Foundational Public Health Services (FPHS). 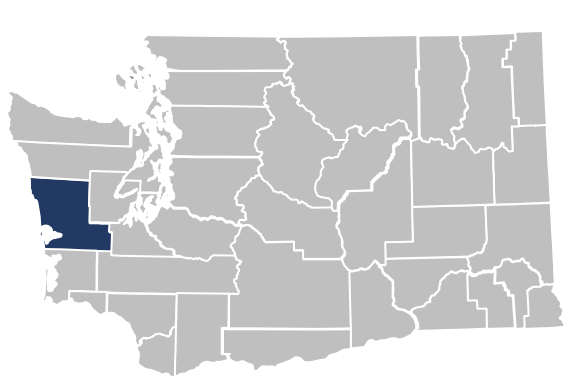 The Washington State TB Collaborative Network(WTCN) is a support system of TB programs from local health jurisdictions and the state Department of Health (DOH). WTCN staff are housed at Public Health Seattle-King County (King County), but collaborate with TB programs statewide. Any local health jurisdiction needing assistance with TB-related issues may contact WTCN. The team triages requests and provides support, or finds the DOH or local health TB program that has the particular tools, expertise or resources needed. San Juan County is both rural and remote. Responding to a disease outbreak strains the day-to-day public health services essential to these small communities. San Juan County Health and Community Services Department provides a wide array of direct public health services, and referrals to social services for their communities. The county includes almost 17,000 people spread across 621 square miles. 447 of those miles are in the Salish Sea. This isolation adds to the challenges of effectively responding to a communicable disease outbreak.